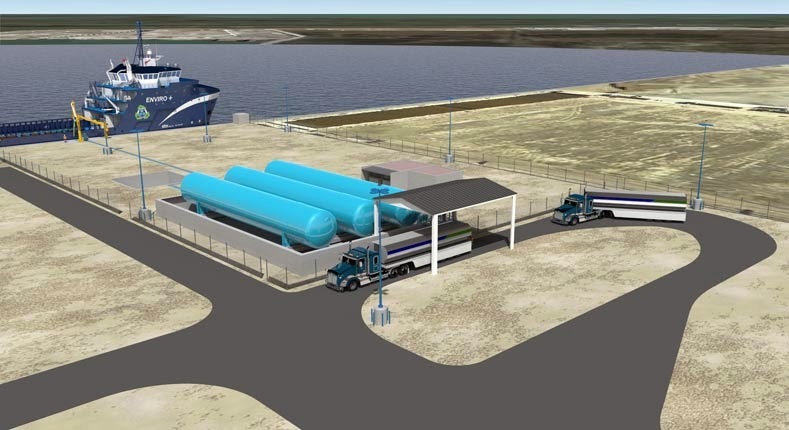 This week, Harvey Gulf International Marine broke ground on a $25 million LNG fueling station for boats and trucks in Port Fourchon, LA in southern Lafourche Parish. The first phase of the facility will have two sites with a 270,000 gallon capacity for LNG. Harvey Gulf has bought into LNG as the fuel for the future to help it differentiate itself as the "green" provider and to make an investment in cleaner fuels before the market shifts in that direction. The fueling facility is part of the company's larger strategy in which it has ordered six 300 foot dual fuel (LNG and diesel) vessels, the first of which will arrive this summer.